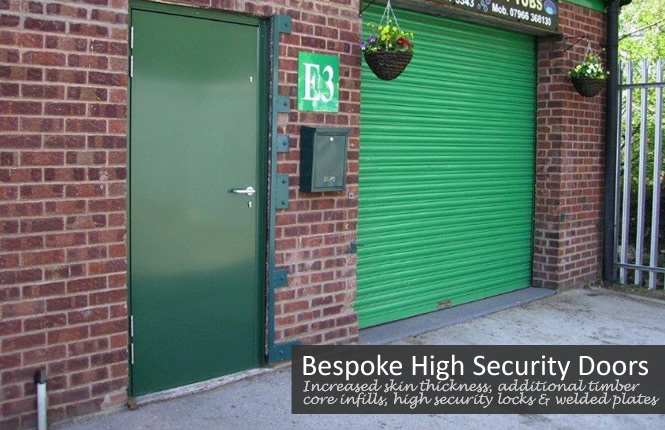 Further to our standard range of steel security doors and fabricated metal doorsets, we are providers of a range of tested & certified high security doorsets for specialist projects. In addition, our steel certified doors are manufactured as single & double leaves doorset, available in a wide range of hardware & glazing options and quality powder coating finish. Please email us your enquiry and we shall provide quotes along with written-up specification. 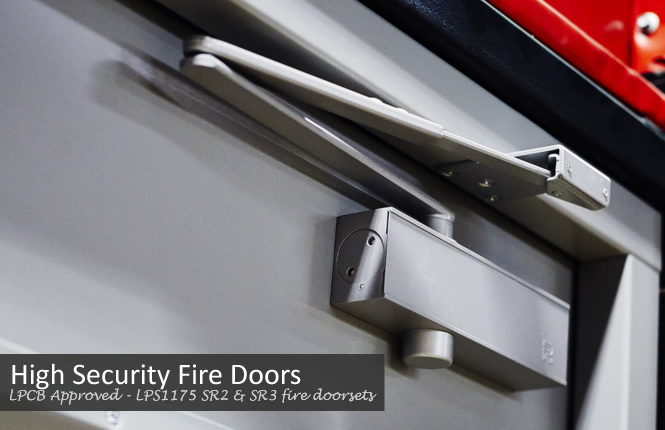 From entry, fire escape, access control & utilities applications, our high security doors are custom-made to meet your specific project requirement. Fabricated Steel Doorsets with High Security Locks. 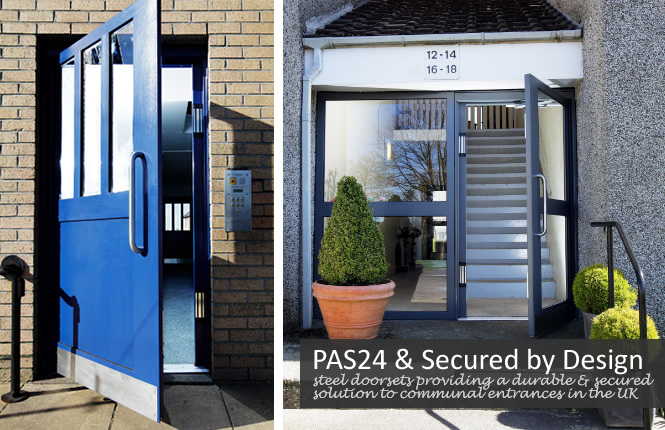 PAS24 & Secured by Design Security Doors. British Standard Ratings - BSEN1627 SR2, SR3 & SR4 Security Doors. 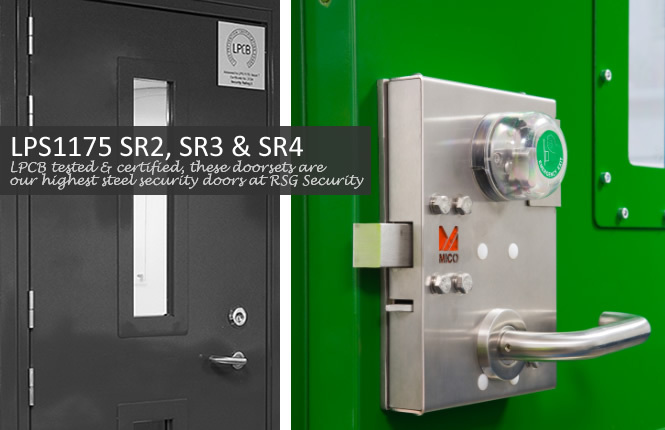 LPCB - LPS1175 SR2, SR3 & SR4 Security Doors. 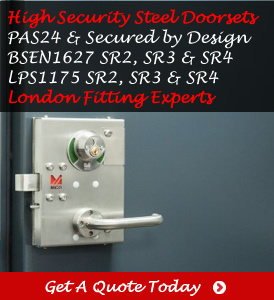 High Security Louvred & Fire Rated Steel Doorsets. 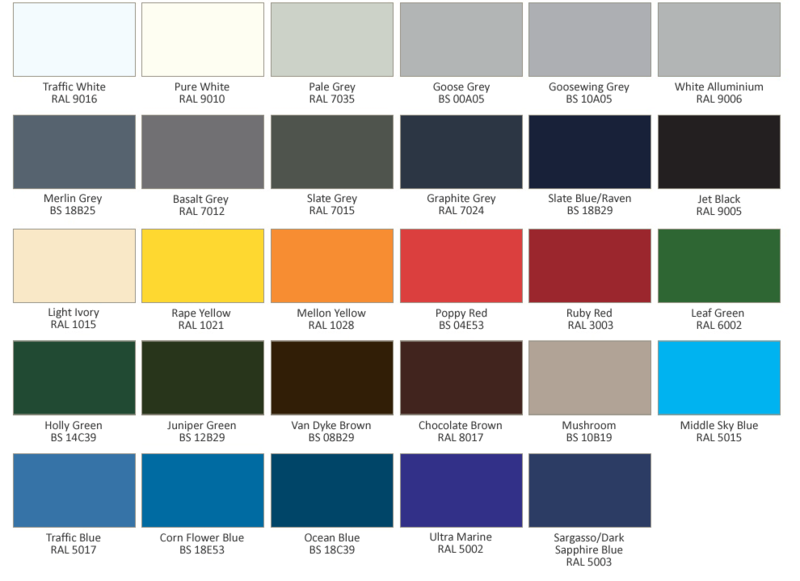 High security locks, glazed vision panels & wide range of quality powder coating colours available on request. Sometimes due to project specifics, we are asked to produce an uncertified high security door. By increasing skin thickness, additional timber core infills, fabrication & welding for strength (i.e. 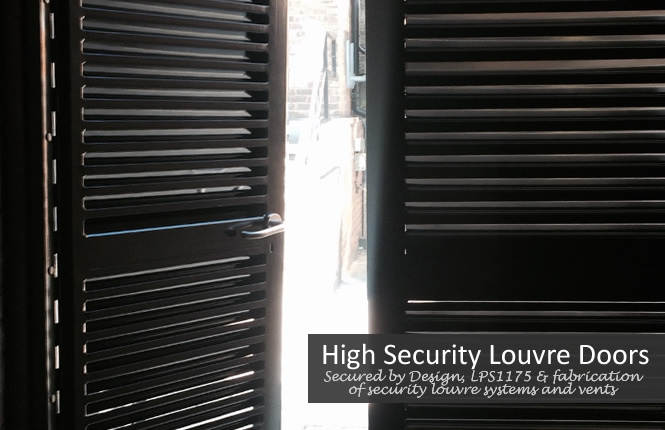 security louvres, etc); our team have the ability to fabricate & install the right security door - Email Us For A Quote. Combining single & multi-point locking, access control via maglocks, glazing, DDA requirements (i.e. ramped thresholds, DDA handles, etc), our range of PAS24 & SBD certified doorsets provide the ideal solution for commnunal entrances. Our team can help you with specification & costings.